A water well drilling rig is a rig used for drilling water wells, installing underground pipes and cleaning wells. 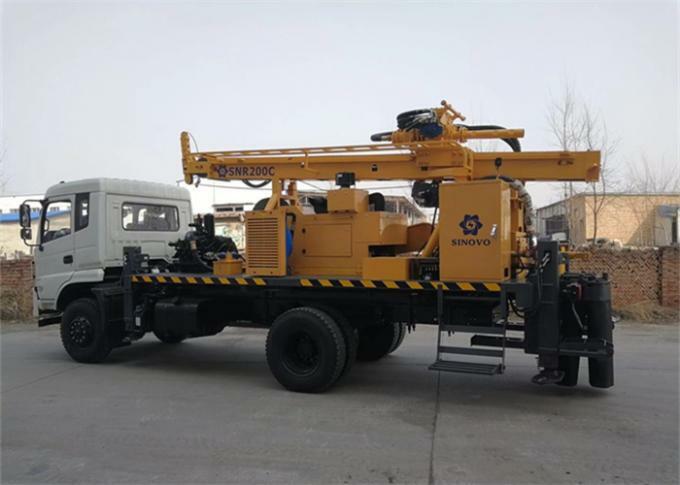 It is mainly composed of power unit, drill bit, drill rod, core barrel, drill stand etc.Generally, there are three types of water well drilling rig, which are rotary drill, percussion drill and combination drill. 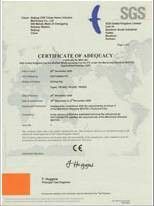 We are a specialized water well drilling rig manufacturer and supplier in China. Our SIN series water well drilling rig mounted on truck or trailer uses air circulation, mud or foam system, equipped with rotary tri- cone and down the hole hammer. It is highly efficient under many geological conditions, such as clay, sandy soil layer, bedrock, etc. 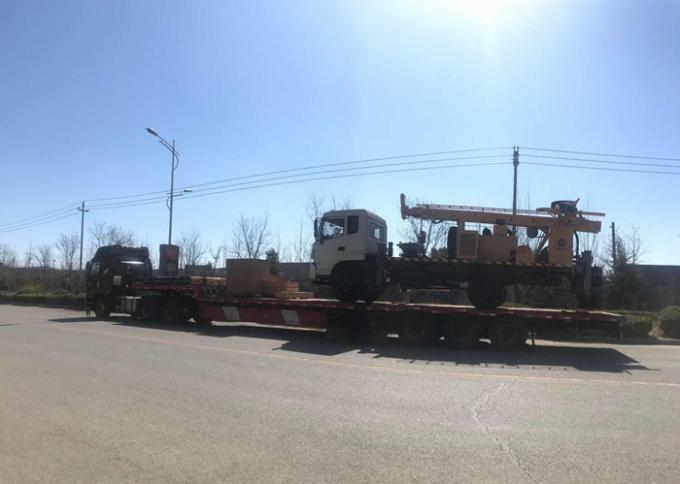 In order to satisfy all water well drilling requirements, our water well drilling rig can be fitted with many optional accessories such as line lubricator, kelly bar loader, various mud pumps, air compressors, and more. 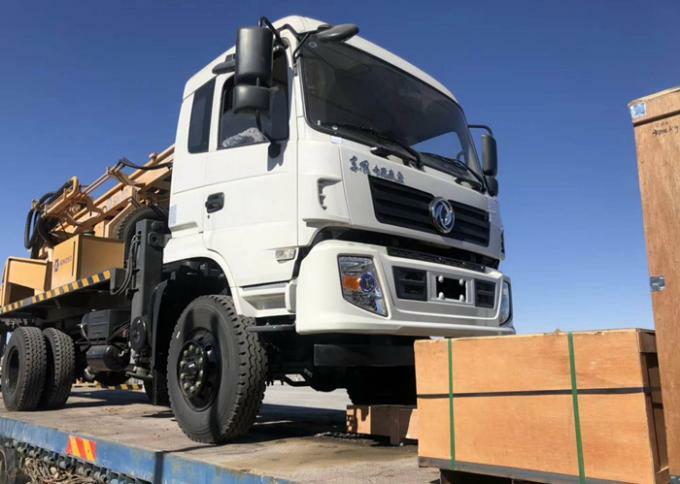 1.Rig type of optional equipped with high leg for self loading Crawler and truck type, optional diesel engine or motor power. 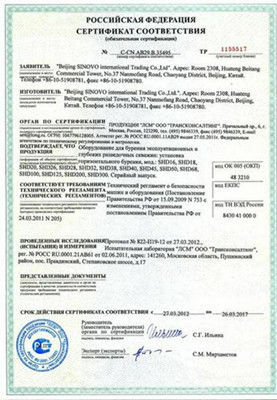 2.The combined pump transfer case, hydraulic rotary power head, the motor chain propeller, wa ter pump, mud pump parts such as hydraulic configuration, reasonable power matching, speed, pressure regulating block stepless adjustment, achieve a variety of drilling parameters, meet a variety of drilling technology, adapt to the whole formation drilling requirements. 3.Multiple drilling technology: the soil and sand pebble bed reverse circulation drilling. Moisture rock combination of large diameter DTH hammer drilling composition, All air leakage formation drilling a hole deep casing to follow up. Deep hole water, gas, three complex strata combination DTH hammer drilling mud. 4.Patent method: rock hole diameter of 600 mm, moisture combination of DTH hammer drilling, save 50% use air compressor, improve the efficiency of 20%. 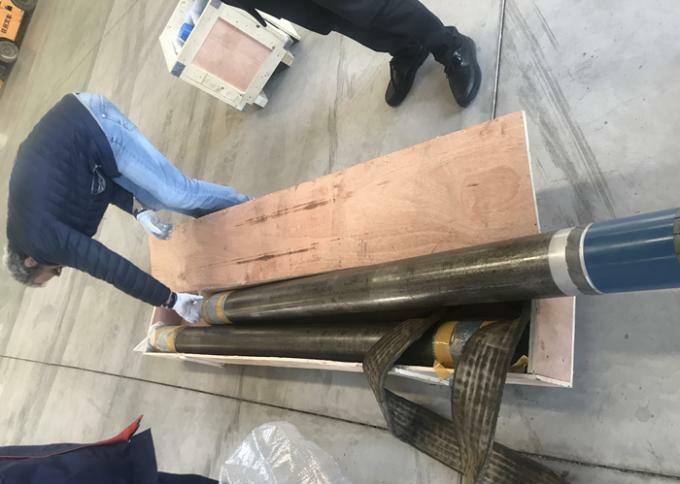 300mm diameter drill 800 m deep water, gas, DTH hammer drilling mud three medium combinations, alternative roller rock drilling, improve the speed by 200%. 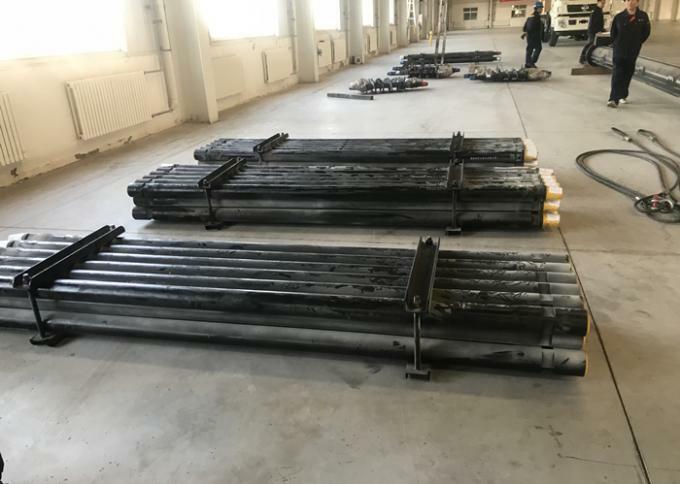 5.High pressure mud pump, positive and negative circulation pumps, drilling frame lifting, drilling platform opening and closing, the drill pipe discharge, leveling, winding, drill leg walk all with auxiliary motion of the controlled by hydraulic, such as improving construction efficiency.Reduce the intensity of the operator work. 6.Hydraulic system equipped with separate air-cooled hydraulic oil cooler, and can optional install water cooler to ensure hydraulic system keep continuous and efficient operation under the high-temperature weather conditions of different regions.